B&W image three men are in laaboratory. One man is sitting at a desk with typewriter. 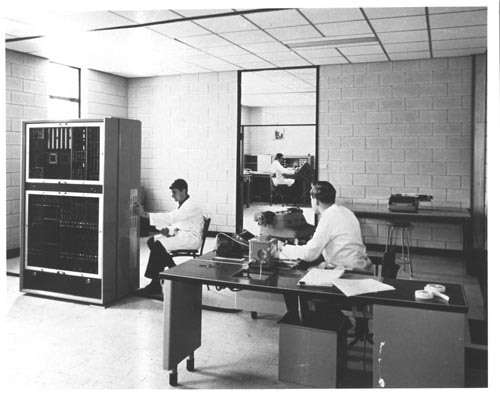 Another is making adjustments on an electronic cabinet, in the background is a third man sitting at a computer console.